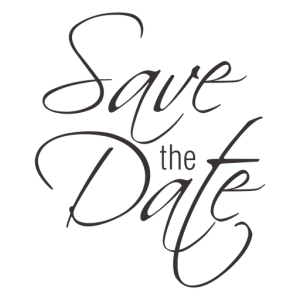 The 8th annual Sharing the Journey Gala is coming up on Thursday, April 4th at the Lethbridge Coast Hotel & Conference Centre. If you’re interested in hosting a table or if you would like more details, please contact us. These resource calendars will no longer be updated; please visit the following sites for some suggestions of things to do in the city. Disclaimer: The LPCC is not hosting or endorsing any of the listed events. Information may be subject to changes and/or updates that are not included in this blog post or the calendar. We recommend looking online or calling the hosting organization before attending any events to ensure that all information is still accurate and the event is still taking place. Are you looking for a family-friendly night of lovely, captivating music? Look no further. On October 27, 2018 at 7pm, a very special event is taking place. 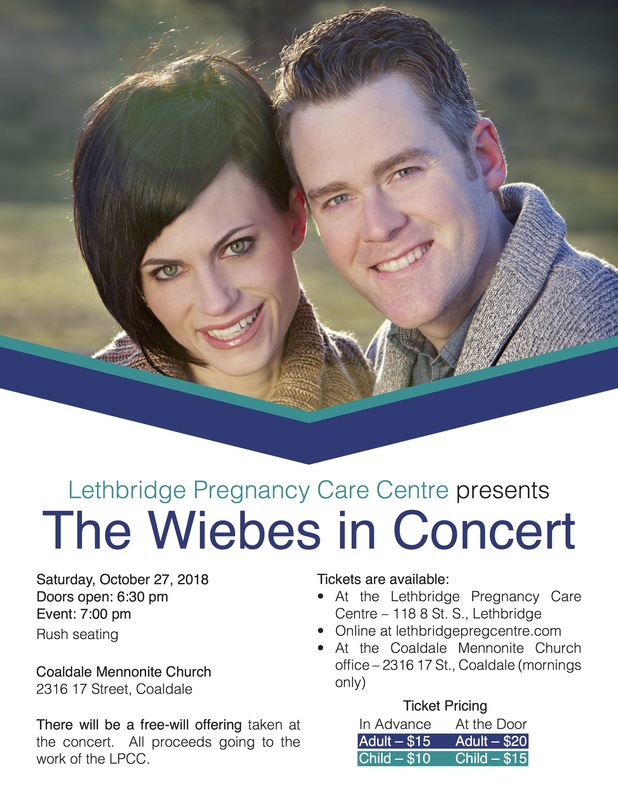 Shane and Angela Wiebe will be performing at the Coaldale Mennonite Church. You’re not going to want to miss it! Drop by the Coaldale Mennonite Church office (mornings only) or the Lethbridge Pregnancy Care Centre to purchase your tickets in person. There will be a free-will offering taken at the concert. All proceeds will go to the work of the LPCC. If you have any questions, please call/text the Centre at (403) 942-1819. Shane and Angela met during a choir tour in Germany 18 years ago. They married in December 2003, and in 2004 Shane climbed to a top five spot on the hit TV show Canadian Idol, where he had the privilege of working with both Lionel Richie and Gordon Lightfoot. Though they had been singing together since the day they met, it was ten years ago that Shane and Angela officially formed “The Wiebes”. Since then they’ve released five studio albums, won “Inspirational Album of the Year” three times at the Canadian Gospel Music Awards, sung for millions on television, and even found themselves on Canadian Radio Charts. To read more about Shane, Angela, and their music ministry, please visit their website. The 7th Annual Lethbridge Pregnancy Care Centre “Sharing the Journey” Gala will be held Thursday, April 12th at the Coast Hotel and Conference Centre. The Gala is our main fundraising event for the year, and we are looking forward to a fantastic evening. Due to limited seating, attendance is by invitation only. For more information, please talk to your Table Host or contact us today. Are you feeling restless to get out of the house but don’t know what to do or where to start looking? Well, you’re in luck, because we are here to help! We’ve tried making things a little less confusing by getting (almost) all of Lethbridge’s events in one place. Check it out! Disclaimer: The LPCC is not hosting or endorsing any of the listed events. Information may be subject to changes and/or updates that are not included in this blog post or the calendar. We recommend looking online before attending any events to make sure that all the information is still accurate and the event is still taking place.